Below you will see a very touching story from J4K Coach George from Kenya. George reached out to J4K for help to achieve his dream on setting up a goalkeeper school in his country, so J4k obliged. 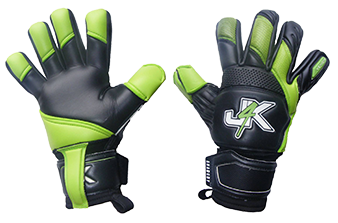 J4K has been helping goalkeeper coaches and goalkeepers all over the world since 1999 but even we did not know the impact J4K would have, not only on George life and his family, but also the positive impact on the community. We are very proud of a lot of things we have done in J4K helping people less fortunate all over the world… but this is something special. Joining J4k is the best thing that has ever happened to me. In as many years as I can remember I was struggling financially until 2 years ago when I teamed up with J4k the whole situation has changed. This are things that I only Dreamt of but today as I speak j4k has brought the light and made it a reality. It hasn’t been easy to penetrate the Kenyan Market and East Africa however I must commend j4k founder and C.E.O Ray Newland who believed in me even when I had nothing to show, guided me through this life changing process , he was always available to motivate and advice me , he creates time for all the j4k coaches, treats all of us equally and listens to our views, thus the reason I say he is one of the best C.E.O in the world . My gratitude also go to Paula and Ash they have really worked round the clock to always make sure our orders & donations get to us on time. We particularly appreciate their prompt response and follow ups whenever there are delays in deliveries. My young keepers from poor backgrounds here in Kenya have really benefited from J4k donations thanks to J4k coaches and parents who have tirelessly supported us. Our partnership with Larry Dolph (j4k Northern VA) has helped a lot of kids here in Kenya who get free gloves ,boots and apparel . I can proudly say ,J4k is now the biggest brand in Kenya . Thank you Ray Newland.